Uranium Investment To Soar? End Of 7 Yr Bear Market? 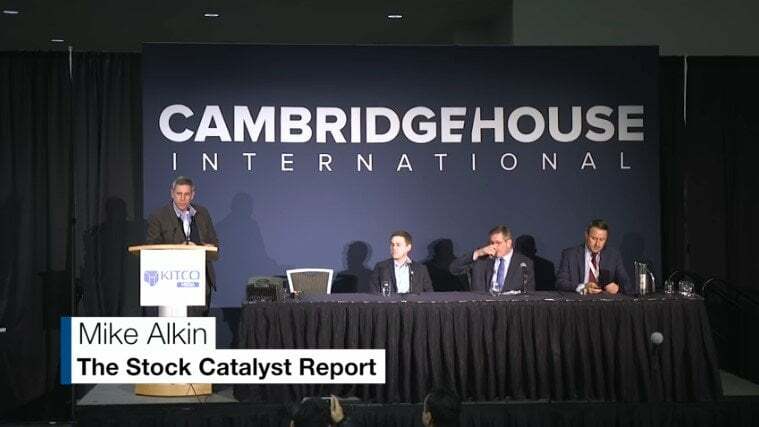 Uranium Investment Q&A with IsoEnergy Ltd., Purepoint Uranium Group Inc., and Skyharbour Resources Ltd. – moderated by Michael Alkin. Uranium Investment: The End Of A 7 Year Bear Market? Hi I'm Mike Galkin and I run a uranium investment focused hedge fund called Sachem Cove Partners and we're going to do some Q&A with. Three Guys from the junior exploration space and in the uranium investment world and we have Jordan Trimble from Sky Harbor Chris aerostat from pure point and Craig Perry who is the co-founder of next gen and now the CEO of ISO energy. So we're going to get this going and you talk about being at the tail of the dog being in a industry that's been in a seven year bear market and then having to go out and be an explorer and trying to find stuff and you still have to do your job. You still have to do what you're doing. But if we look back over the last decade there have been four big deposits probably found in the Athabasca Basin. You had rough rider Triple R you had aero NexGen and another one that was. JASON Yeah. JASON Exactly. And if you think about how much was spent going into that it was about 17 million per find that before you found it. And then you have to advance those projects and that's 33 million. So that's about 50 million dollars that go into finding that advancing the project that's more than a market cap of each of these companies. So you my pleasure. So what I'd like each of you to answer is how do you think about this when you're allocating the capital because you have to go out raise the capital especially when you're in a bear market it's tough. How do you guys think about allocating your budgets while you're in the exploration phase. Well I'll start by just to get some context on uranium investment. There has been a handful of pretty major discoveries. For anyone that was at the launch earlier I talked about you know what Sky Harbor is doing and like my peers here were out there looking for that next big high grade discovery in the base in technology and innovation the way we actually go about finding these deposits has changed quite a bit in particular in the Athabasca Basin in the last 20 years so if you look at for example Rough Rider which was in the kind of late 2000s which ended up out was 50 or call it 50 million to get it through to the first resource estimate. But it was ultimately acquired for 650 million so that's a pretty nice return but it took them quite a bit to actually go and find the deposit now we even go further back and we look at McArthur River here is a good example of oldschool exploration very very capital intensive and quite honestly not great because it's that big of a deposit. But had it not been a world class discovery it would have been Abbasid it just it was 200 holes down to 5 600 meters to actually find this deposit. So now we fast forward to the current day and you look at some of the more recent discoveries like NexGen like fish and even the Griffin deposit which is another Basement hosts deposit the east side that Denison found recently. You know we're talking about less than 10 million dollars from that initial uranium investment reconnaissance through to discuss the discovery hole. So that's a function of where we've come the way we look for these deposits geophysical techniques have come a long way. You look at vision they use the rate on gas surveys directional drilling you look at and just the rocks that we're looking for these deposits in right the sandstone versus basement hosted deposits a lot of the recent discoveries being in the basement rock so you know for us at Sky Harbor look we're out there looking for this next big deposit we do have two deposits one of which we're expanding we're looking for more high grade mineralization at at that what's called the maverick zone at our flagship project but we really try to employ and use the cutting edge if you will innovative techniques to go out and decrease our discovery costs so for example we flew a drone geophysical survey last year which yielded these basement hosted targets new targets and just in December we announced our first high grade intercept in the underlying basement rocks that we're going to be following up on with this next drill program starting soon. Is working here. OK. Yeah. You know similar similar to Jordan's comments here. Things have things have regressed a lot I think over the last 10 years we've seen a lot of the uranium investment techniques change but it's still it's still a very expensive enterprise to get out there and find these things. I think we were probably in Paterson we were we were close to five million dollars of that joint venture before we had our discovery hole at Spitfire. And it's it's a lot of money. And I think the way we've had to go at it is we have we have 10 projects but we've during the last boom we were able to spend quite a significant amount of money on them to hold them and right now to go out there and trickle half a million dollars or seven or fifty thousand dollars into some of these uranium investment projects is you just.